You must request a credit freeze with each agency. In Florida, the fee to place a freeze is $10 with each agency for persons under age 65. If you are 65 or older or have been a victim of identity theft, the fee is waived. 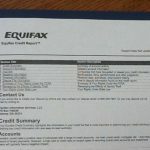 Currently, Equifax is waiving fees. You will need to lift the freeze if you want to open a new account, change insurance policies, rent housing, or sign up for new utilities or phone service – any transaction requiring a credit check. The fee to lift the freeze, either temporarily or permanently, is $10 per agency and it may take up to three business days for the lift to take effect.